The game of Minecraft is a phenomenon. 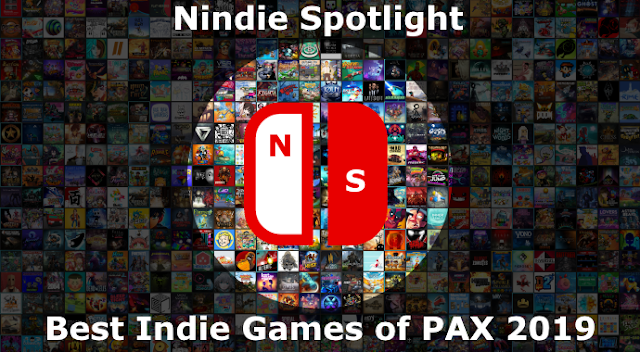 Having started from very humble beginnings, and in many ways sticking to what made it successful and not changing much over the years, it has single-handedly created and defined a genre since its beginnings. There have been attempts made before in a variety of ways and from a variety of developers, from big to small, to replicate that success or try to improve upon it but few have managed to be familiar but different and then also successful. While it isn’t without its quirks I’d say Portal Knights is the most accessible and enjoyable Minecraft variant I’ve played to date and it also well-suited to the Nintendo Switch. Starting from the beginning Portal Knights plays like an attempt to take the crafting and progression systems from Minecraft as a base framework but then applies several changes, the majority of which I’m quite fond of. First, it lets you create an avatar to play with that doesn’t look like complete garbage. 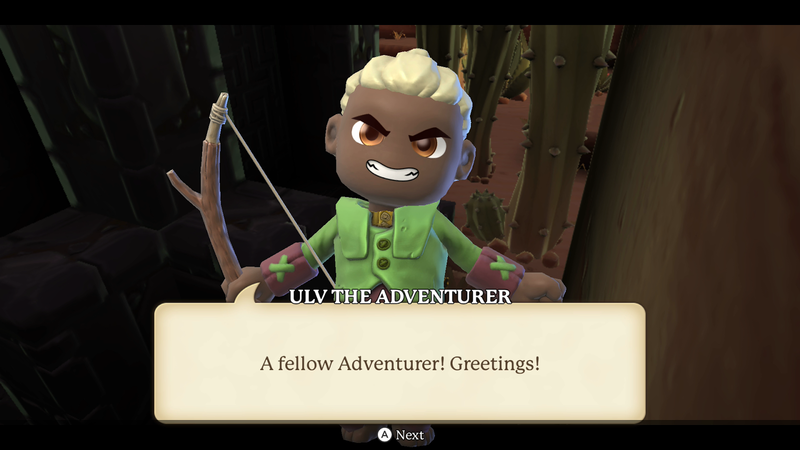 The tools are pretty simple still but the options to create your base character allow for some personality and variety and the result is a somewhat LEGO-esque looking character to build on. Over the course of the game you’ll be able to outfit your character as well but what’s great is that what you’re wearing in terms of armor can be overridden by something you aesthetically prefer. So that great helmet you found to wear doesn’t need to ruin your outfit to get its benefits. Second, it takes a stab at making the combat more dynamic and interesting. You’ll get to choose between a Warrior, a Ranger, or a Mage and it goes without saying that their styles are different. Within each class you’ll also be able to choose your weapon of choice and though this doesn’t change things too much it helps to differentiate things a wee bit at least. In all cases once you lock on to an enemy you’ll then be able to evade attacks with a press of the A button. This isn’t perfect but makes the combat active and provides a nice challenge. Last, rather than creating a single massive landscape the game’s portals each lead to a new land and ecosystem that then has its own elements and monsters. I find the more segmented nature of things, in addition to the ability to easily move between worlds you’ve visited, makes hunting down something you’re missing quite easy and painless. Going over the highlights of what works well in the game combat and monster diversity aren’t perfect but they’re at least strong. There are quite a number of big boss battles you’ll face over the course of the game and, in general, combat is engaging and fair. The lock on and dodge mechanics make it possible to bring down enemies much tougher than you if you have patience, you’ll just need to learn that the dodge has some lead time on it. Crafting works well and the tools you can craft pretty early on to help make mining more efficient are appreciated (you want the drill) to keep things light and fun. The fact that you can slowly accumulate experience for mining is also great for people who aren’t quite as into combat. Another key in being able to minimize combat is that sometimes portal fragments also come from mining. 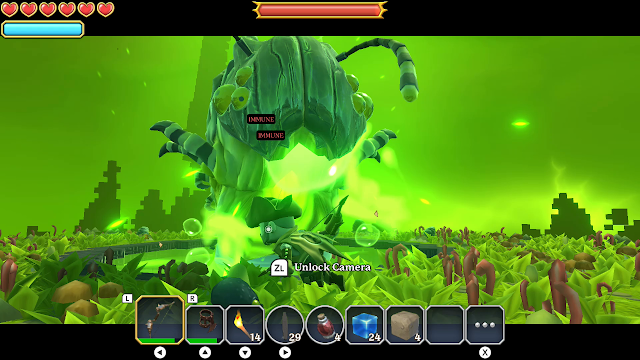 Each world has at least one portal that will take you to another land, but in order to open it you’ll need to construct special blocks and the quickest way to accumulate the materials you’ll need is through combat, the fact that the game allows you to progress without so much combat is a nice touch though. I also appreciate the fact that while there are more monsters when the game turns to night that, in general, they stick to their zones and don’t seek you out. Between this and the ability to cheaply buy deeds that will unlock empty zones for you there’s no great need for dedicated survival and creative modes, the main mode simply works well for both. Getting into the complaints there aren’t too many but some things don’t work quite a well as others. While the game’s UI is certainly workable, and there’s no doubt there are many things you need to be able to manage, it’s also a bit cumbersome. Though both local 2-player split-screen and 4-player multi-player are available at a high level the online infrastructure for playing with other people is far more limited than what people accustomed to Minecraft may expect. You’ll be fine to actively play with your friends who have the game but there’s not infrastructure for contributing to a specific world collaboratively. Just a warning for people who are considering coming over to try it out that some things you’ve taken for granted aren’t available here, and with what it offers instead I think it’s a fair trade. The last note is that procedurally-generated worlds are always a mixed bag and Portal Knights does a fair job at it but there can be quirks. Sometimes quests can end up being a bit odd or even buggy because of how things were created and you can also find structures, at times, somewhat buried because of how things got generated. It’s hardly a crippling problem, but just something to keep in mind as a sacrifice made in order to have the worlds feel more unique. 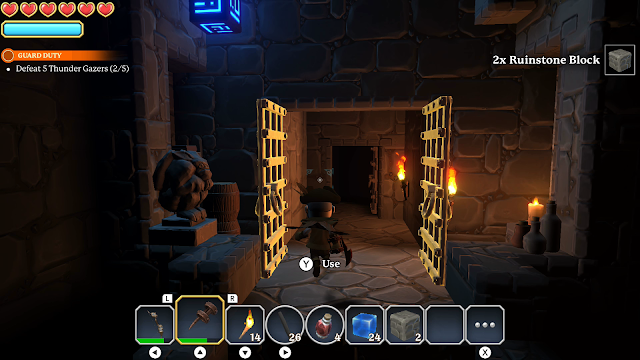 Overall Portal Knights is a game that gets far more right than wrong and, truth be told, I actually think its more active combat and RPG progression (among other things) make it more fun than the games that helped inspire it. There are some sacrifices that come with those differences, but this feels more like an adventure most of the time instead of just strictly a sandbox. If you’re grown accustomed to a vast online infrastructure you’ll likely be disappointed but playing with some friends is still satisfying and works well. 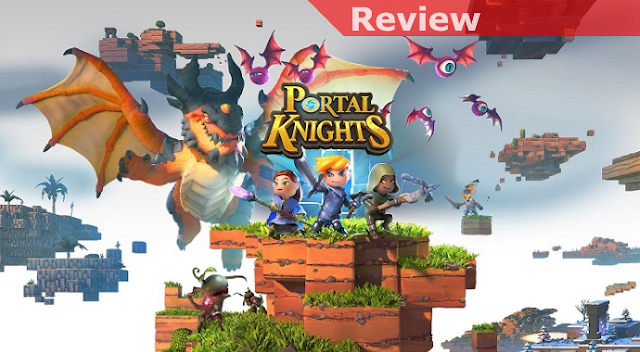 In particular if you’re looking for a game to play with the family where everyone can have some fun I think Portal Knights may be among your best choices on the Switch.